It’s quite unobtrusive, that little country on the North Sea coast. But it has plenty to offer. 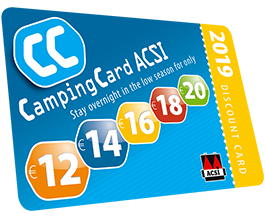 Also in low season, which is when you can camp with a discount at many different Dutch campsites with your CampingCard ACSI. Every part of the Netherlands has its own treats, just like every campsite. 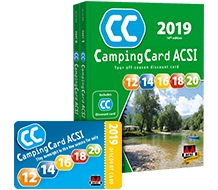 One thing is certain: with CampingCard ACSI you will have plenty to do in low season in the Netherlands. ● The Netherlands has many beautiful protected natural areas. On the border of the southern provinces North Brabant and Limburg, for example, you will find De Groote Peel, also called De Peel. For centuries this natural area was a source of turf (dried peat) which was used by the farmers as fuel. If you walk through De Peel you may see a large diversity of bird species. Of course it is nice to take a walk under the sun, but despite, or even because of, the rain a walk through De Peel on a bad weather day can also be a very beautiful experience. Be sure to bring a pair of boots, because it can be a muddy trek. ● The Veluwe, a natural area located in the middle of the country, has a very different character from De Peel. The Veluwe is mostly woods, heathlands and sand drifts. This beautiful green nature area also includes National Park the Hoge Veluwe, which is a great place for walking. The park used to be private lands belonging to trading couple Anton Kröller and Helene Müller. It was later bought by the Dutch government, which also had a museum built for Mrs Kröller-Müller’s art collection. The Kröller-Müllermuseum is currently still a repository for work by famous artists such as Picasso, Mondriaan and Seurat. ● There is no lack of museums in the Netherlands. The three most well-known museums can be found on the Museumplein (Museum Square) in the capital Amsterdam. Here, you can choose between the Rijksmuseum, the Stedelijk Museum and the Van Gogh Museum. The Rijksmuseum houses works of art from 17th century Dutch masters such as Rembrandt, Frans Hals and Vermeer. In the Stedelijk Museum you will find modern art by big international artists, from Jeff Koons to Barnett Newman. The Van Gogh Museum is completely devoted to the beautiful colourful paintings by Van Gogh. The Dutch are generally known for always being on time and having everything in order. This can clearly be seen at the Dutch campsites: they are known for being clean, neat and well-organised. The toilet facilities are excellent, the campsites have many modern amenities, and the friendly staff will try to make your stay as comfortable as possible. 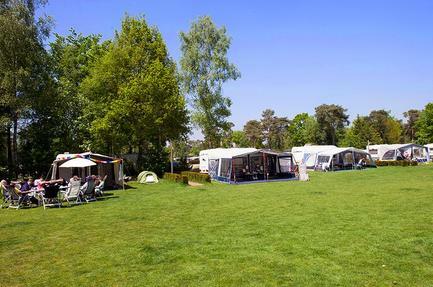 Also in low season, which is when you can visit the Dutch campsites with a discount with your CampingCard ACSI. This way, you can enjoy a quiet, inexpensive camping holiday. Dutch culture and history has been shaped for a large part by water. A significant part of the country is under sea level. In 1953 this caused the famous North Sea Flood: during a storm a big part of the provinces of Zeeland, South Holland and North Brabant was flooded. After this disaster the Netherlands started to build a strong network of dykes and dams. This project included construction of the Deltaworks, one of the seven modern world wonders. One of the Dutch provinces, Flevoland, was created when a large part of Lake IJssel was reclaimed. Plans to create the area were made in the second decade of the 20th century, and in 1986, Flevoland was established as a province. Some people think the Netherlands is always wet and chilly. This isn’t true: it has a temperate maritime climate, which means the winters aren’t too cold and the summers aren’t too warm. The weather can be somewhat unpredictable in the Netherlands, but especially in the months of March to May the spring sun can shine surprisingly often. But if you decide to camp in the Netherlands in low season with your CampingCard ACSI, you will quickly forget about the weather report. There is simply so much to do.